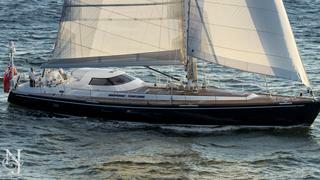 The 77-foot (23.3m) sailing yacht AGLAIA is a fast, capable blue-water cruiser that showcases elegant lines and a build that provides a comfortable, safe ride. AGLAIA’s interior is timeless yet contemporary, showcasing beautiful cherry and teak wood finished with a satin lacquer that is complemented with light-colored soft goods throughout. 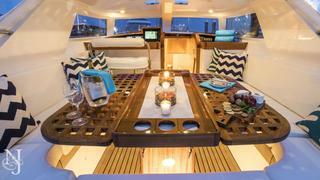 The luxury yacht has a welcoming and comfortable feel. 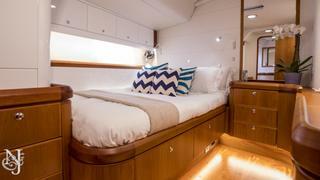 Luxury sailing yacht AGLAIA has three exquisite staterooms that accommodate six guests — each provide the perfect space to unwind after a fun day of sailing. 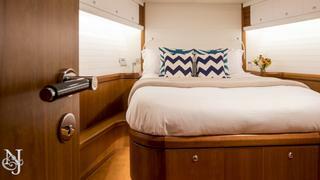 The luxury yacht features two double-bed staterooms and a twin. 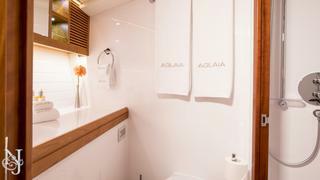 Each of AGLAIA’s staterooms is complete with its own en-suite. 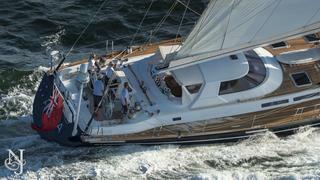 She also is able to accommodate up to three crewmembers. Featuring a spectacular deck house that gives guests great protection from the elements, guests can enjoy relaxing here under sail or at anchor as well as relishing a meal alfresco style. 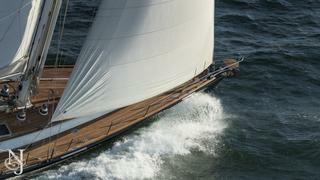 AGLAIA was built by Hamble Yacht Service, UK, using lightweight techniques that allow the sailing yacht to cruise at 10 to 12 knots with an average of 250- to 275-nautical-mile range for a day. 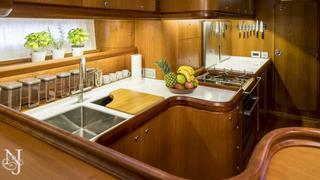 The luxury sailing yacht is easy to handle with the helm and sail controls in the aft cockpit and boasting wide side decks. 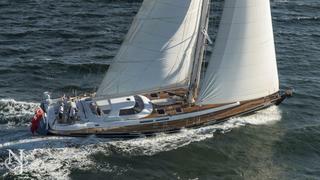 Sailing yacht AGLAIA received an extensive refit in 2015 into 2016. 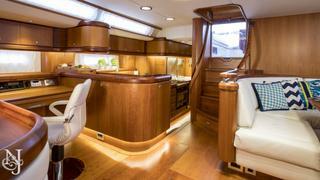 During the refit, every detail of the yacht was reviewed and upgraded as needed. 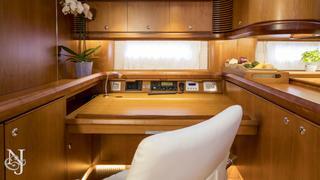 She was brought to zero hours and updated with the best technology, engineering systems and interior design available — the results of the refit left her in pristine condition for her new owners.